Leavenworth Winter is on WAY…. This tiny town of Leavenworth offers more than quaint Bavarian charm. In the Summer it becomes a mecca for adventurists and outdoor sports enthusiasts. As the weather gets warmer people of all walks of life looking to rock climb, boulder and hike trickle in to explore the granite boulders that the beautiful Northwest has to offer. With magnificent views from every corner of this riverfront home you won’t want to ever leave! The home is beautifully furnished inside with warm colors throughout, rustic furniture and state of the art appliances. Outside is a basketball court, fire pit, horseshoe pit, hammock, sand box, teeter totter, giant chess set, gas BBQ and hot tub! The fun doesn’t stop. There is also a patio with a picnic table for outdoor lunches. Located on 5 wooded acres you are free to roam and explore the beautiful property grounds, there is no getting bored here. Relax in the mountains surround by lush trees and rushing rivers then head to the amazing Cascade Mountains in the Pacific Northwest. Stay in the trees at one of these cozy lodges in the Bavarian Village of Leavenworth. There’s just something about the crisp mountain air that will clear your mind, body and soul and leave you feeling refreshed. For a swedish or hot stone massage and a facial check out Enchanted in Leavenworth in the village or head to the spa at Sleeping Lady Resort for their signature jade treament. The stone is a symbol of mortality that is known to melt away tension and boost circulation. Indulge in a number of other natural, holistic services as well, all inspired by the surrounding nature. 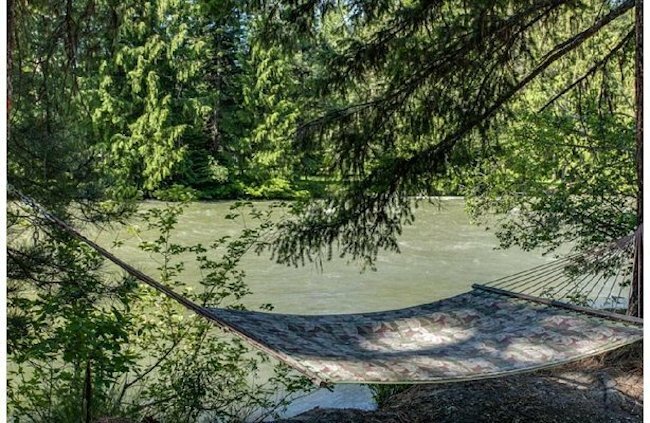 Take a rejuvenating stroll through the woods in any of these nearby Leavenworth hiking trailsafterward. Studies have measured significant changes in stress levels in people who regularly take walks in nature, specifically forests. This practice of taking short, leisurely walks in the forest is known as forest bathing and there are plenty of opportunities for it in Leavenworth. 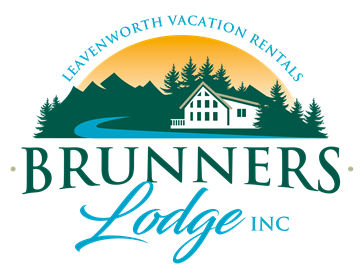 Leavenworth has what you are looking for! Want to cool off? Take a rafting or tubing trip down the river. Have you been wanting to try your hand at paddle boarding? We have experts who can make that experience happen for you! Time to immerse yourself in nature? Spend the day in the mountains hiking, biking, climbing or bouldering. Besides the endless trail system in and around Leavenworth, we have some of the best fishing around! Perhaps you’d like to hit the fairway? We’ve got the most beautiful courses under clear blue skies. Even horse lovers can mosey along on a fun trail ride through the woods. We’ve got it all here; all for you! Open house at the Nutcracker Museum! Tour the museum, learn about the history of nutcrackers, crack nuts with a variety of tools, have your picture taken with Karl, receive a free museum poster for each family and win a pin by going on a nutcracker hunt. Just in time for Spring Snow melt. 59’r Diner is back for that good old fashion Milk Shake!! Summer is in FULL swing here!